I am often asked what kind of mount do I use to change frequencies with. I have 3 techniques. My first technique is to use a Pixie Switch which will allow switching up to 4 frequencies. The second,and cheapest, is to use female machine pin break-away headers. Simple snap off 3 pins from a 40 pin strip. Then either pull the center pin or, if a ground is available, solder it down to provide extra support. I tend to wear these out pretty quick and it also helps to keep the crystal leads short as the pins will wear even faster with a top-heavy mounted crystal (think of balancing a bowling ball on top of a stick, the stick wobbles wearing out the pins!). I rarely use machine pins now days and instead prefer either my Pixie switch or a 3 pin female header socket and then solder my crystals to a 3 pin male header. Again either snip the center pin or use it as a ground or for mechanical stability. 2017-03-04 – The article on Pulling Crystals to obtain a wider frequency range from AB7SQ and KC9ON can be found here. It all started with our local club having a kit build event. So off to Ebay to order several of the Super RM Rockmite, Frog, and Pixie kits. Once arrived it was soon discovered that all of these kits operate at 7.023Mhz, in the EXTRA band. So our Tech (Novice frequencies), General, and Advanced class licensees were out of luck! Since most of the group are newcomers to CW we realized something had to change….. The Crystals! It was decided if a change in frequency was in order that we should probably get something in the novice band area where the code is a little slower most of the time. 7.122MHz would put us on the QRPARCI novice frequency. Shopping around for crystals found the average prices to be between $1.50-$2.50 shipped. Multiply that by about 50 – Rockmite’s need 3 each(!) and throw in a few extra for existing xtal rigs – and our little frequency problem becomes a $75-$125 bigger issue to fix. 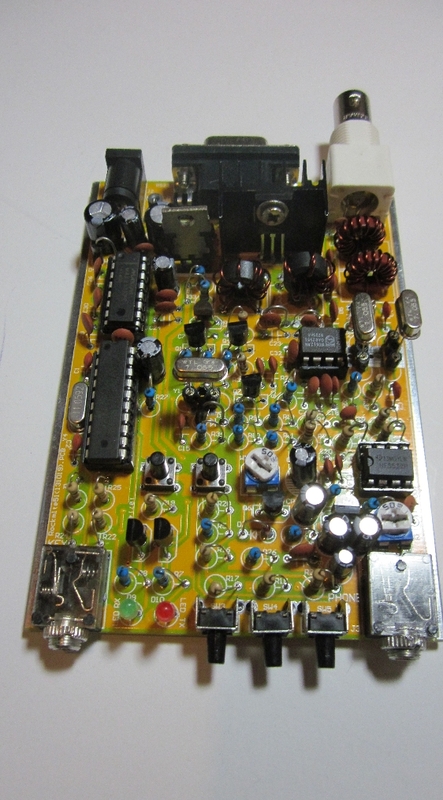 With a little research I found a manufacturer which would produce the frequencies at a very reasonable price. There were only 2 problems….. First it was offered in the HC49/S short case. The other was a minimum order quantity was well above the needed 50 or so. One problem with the short case is the type of cut is different than the regular sized HC49/U cases. For the most part it has both good and bad features. The bad is that these rocks will not bend as much in frequency (smaller RIT tuning!). However, they are more spot on frequency which is great for matching front end and IF filters. With all things considered, I bit the bullet and ordered 3 batches on 7122, 7055, and 7030. Once they arrived I put several to the test. 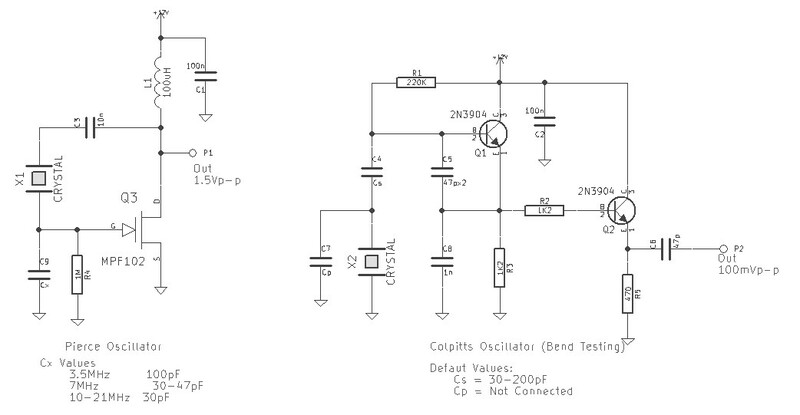 How would they work in my HW-7, HW-16, and in use as Colpitts and Pierce oscillators. The first test was to try them in my old Heathkit gear. One nice thing about these short crystals is they easily fit inside an old FT-243 crystal holder. No more Dremel tool! The end result is they work pretty good and even made a QSO on 7122 with the first call out! The next test was a generic breadboard test to see how they work in various configurations. 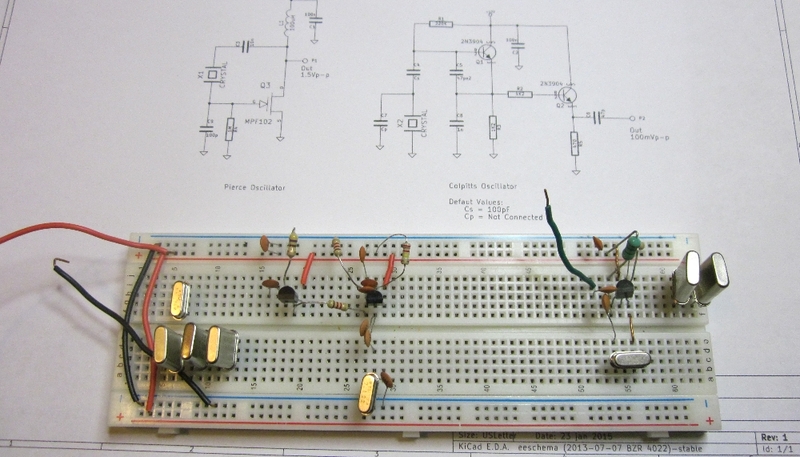 Colpitts and Pierce oscillators were put on the breadboard. 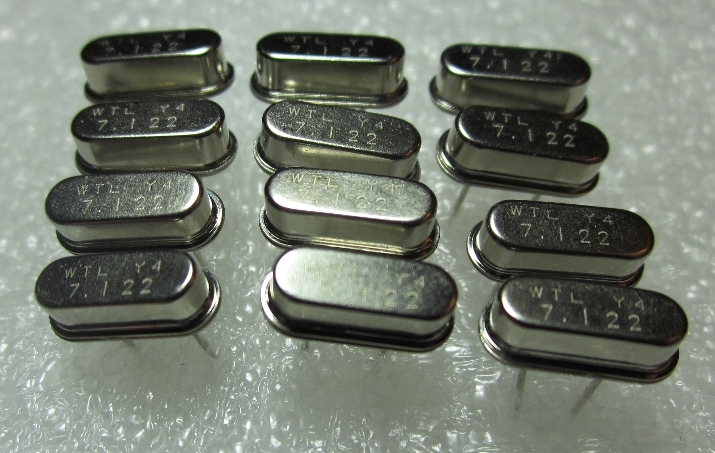 Tests were performed against both the new short crystals and some existing older HC49/U types. The end result is they work pretty good and as predicted. Closer in frequency tolerance but not as bendable. See this HC49S-Testing link for the results. So how do they work on the club build QRP rigs? The answer in February after we finish the kit builds………. See this link for updated reviews of how the Chinese radio’s assembly went and how they operate. 2015-02-11 – The Pixie kits were the easiest to build so of course are the first to be done. These crystals work great with the pixie. My biggest gripe is that the Pixie really needs a low pass filter, the audio highs are ear piercing! 2015-02-24 – Put the Pixie on the bench with an RF generator. 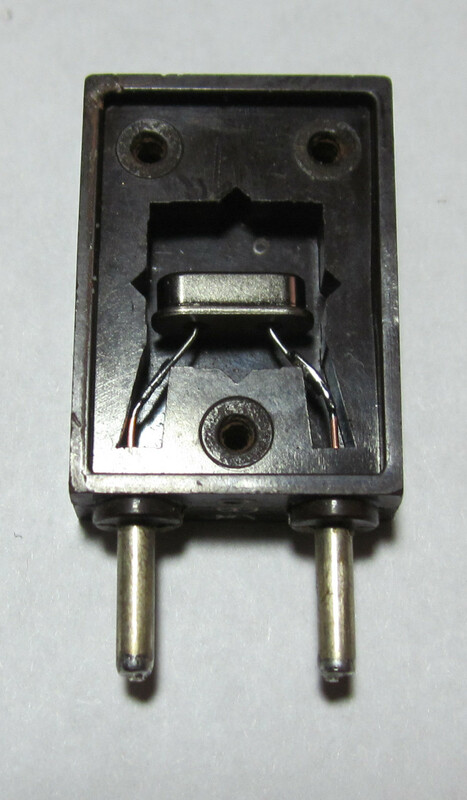 For the 7122 crystal we were able to bend it by about 1700hZ. 2015-02-27 Update: 2 crystals were put in parallel on a Pixie. The result was an additional 50% increase in bend. Results in this Double-Crystals link. 2015-02-23 – Works with the Super RM Rockmite “Octopus” kits as well. Used 3 pin break away machine pin headers for the Xtal sockets (3 each on this rig!) and have heard signals on 7030, 7055, and 7122. 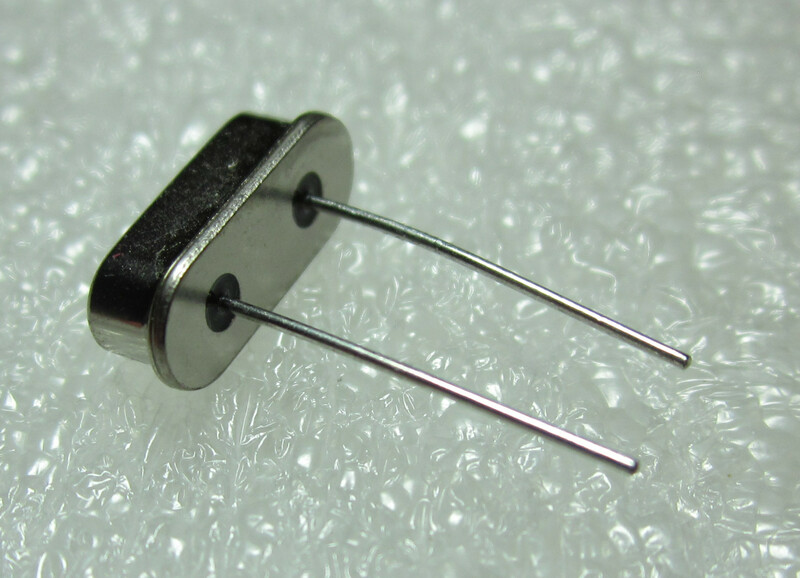 Power out is a whopping 5W@12.0V! 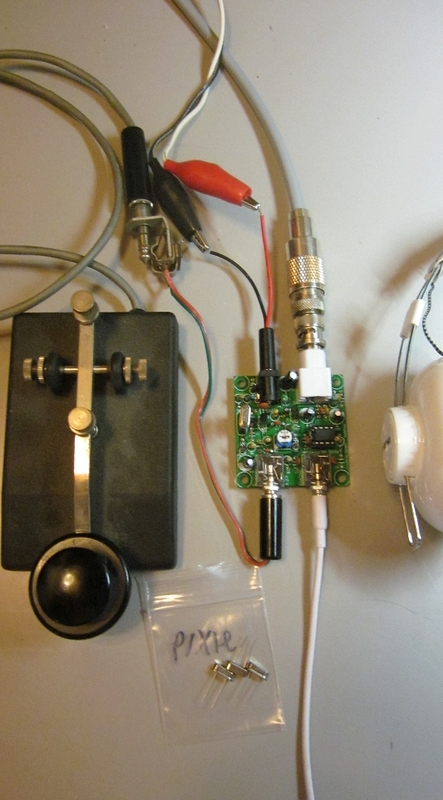 2014-02-24 – Put the Rockmite on the bench with an RF generator. We were able to bend the 7122 crystal by about 700Hz. 2015-04-01 – Crystals work with the Frog also! However, I would not recommend anyone building a Frog kit. Too many transmit issues that can be found on the Chinese QRP kits page.